I’m a gal who is easily distracted by something bright and sparkly. In fact, many of my random conversations with complete strangers are usually me complimenting them on their jewellery or them complimenting mine. I’m like a bowerbird who sees something blue and becomes obsessed, I’m like this with gold. My obsession started young, I would spend all of my pocket money on the windup 20 cent machines, using every last coin in my purse until I had a ring on every finger and resembled Elizabeth Taylor. As I got older my obsession only grew, and since meeting Mr Tink I think it’s safe to say that I have a pretty awesome collection. In the last 5 years the price of gold has escalated so I’ve had to curb my spending and my splurges have become a thing of the past… That was until I found a fabulous company called Tesoro. Tesoro specialises in Italian Couture Jewellery only without the Italian Couture price which means you can dazzle and shine without needing to remortgage your home. Each piece is like a work of art that has been handcrafted and uniquely designed in Italy, created using the finest in 925 yellow coated silver. The Tesoro designers have captured all the magic of being a woman in today’s world, so no matter whether you’re searching for a piece you can wear every day or a unique piece just for special occasions, their range will captivate your attention and, like myself, you’ll create a very long wish list! 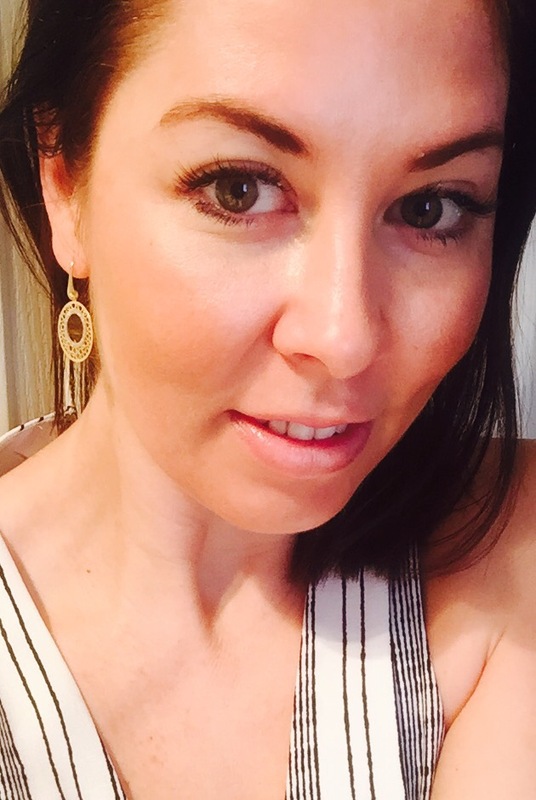 For my review I was very lucky to wear a gorgeous pair of Circle detailed earrings. The earrings are created using 925 yellow coated silver and the finish is outstanding. The gold finish is of the quality you would expect from 9ct or 18ct solid gold, making it hard to believe it’s plated. When I saw the quality with my own eyes I was astounded at the price, a mere $69.95, which is unbelievable considering the quality and finish. This gorgeous pair of earrings is perfect for everyday wear or a night on the town. The stunning design paired so beautifully with my other pieces of gold that I was able to wear it all together without them clashing, which is a big win for me. The Tesoro 1261.925E earrings have just the right length of drop that I was able to wear them while I ran around after the kids, went to work and even trained! (Yes, I like to look fancy shmancy at training). The beautiful design is classic and was the perfect accessory with each outfit I wore. So after a week of wearing them nonstop you could say I have a new love crush. A big thumbs up to Tesoro on yet another excellent product, one that will be right at home with my collection for many years to come. 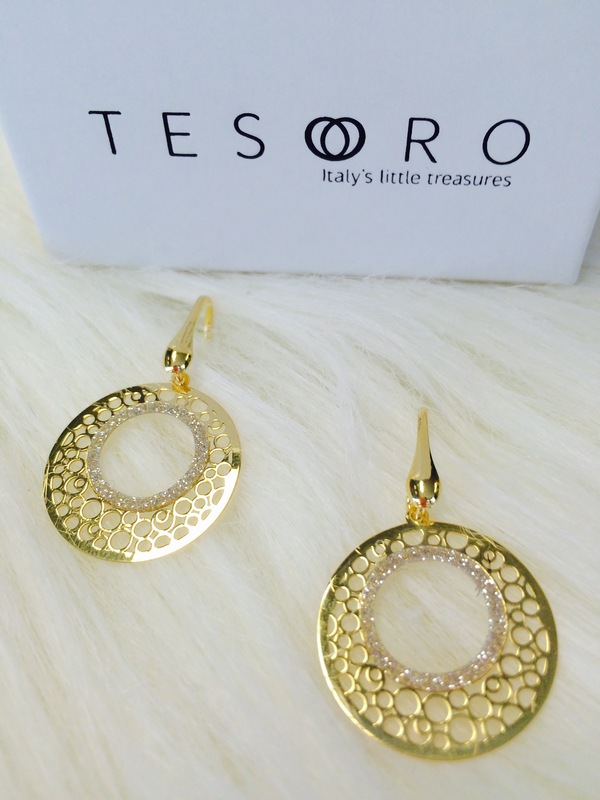 Would you like to win a pair of Tesoro earrings? I’m thrilled to tell you the lovely team at Tesoro are giving one lucky reader the chance to win a pair of these gorgeous earrings. To enter simply share with me why you would like to WIN? The judges will choose their favourite answer and I will announce a winner on the 20th of of April at 10pm. With a unique approach to contemporary designer jewellery, Tesoro provides cutting edge style with high quality Italian made artisanship. Each Tesoro piece is crafted using only precious metals providing long lasting quality. Tesoro is synonymous with modern luxury creating unique pieces for the eloquent woman that must stand out from the crowd. Is like to win because 1) I love Tesoro and their designs. 2) their designs are classic, they look stunning casual and dressed up, as a busy mum I need a versatile but effortless style, and I think these Tesoro earrings will compliment me and my lifestyle. Im a Mum of three. 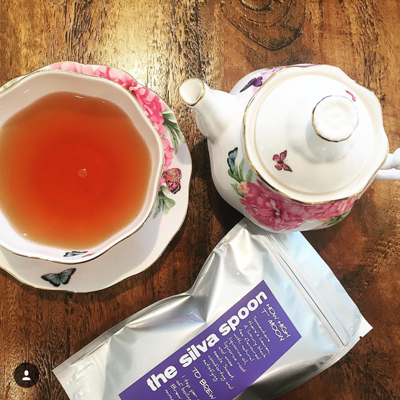 As a Mum we tend to be givers and we forget about ourselves. I am very guilty of this but after the passing of my Mother two years ago I saw that i need to place myself in a position of being important also. Now although I still do what i can for my children I remember that I am important and I deserve nice things that have no practical purpose. Things that are simply beautiful and wearing them would make me feel special. That is why i would like to win … to have something truly beautiful that would make me feel special each and everytime I wore them. I would cherish winning these gorgeous earrings,and feel so fortunate and blessed! 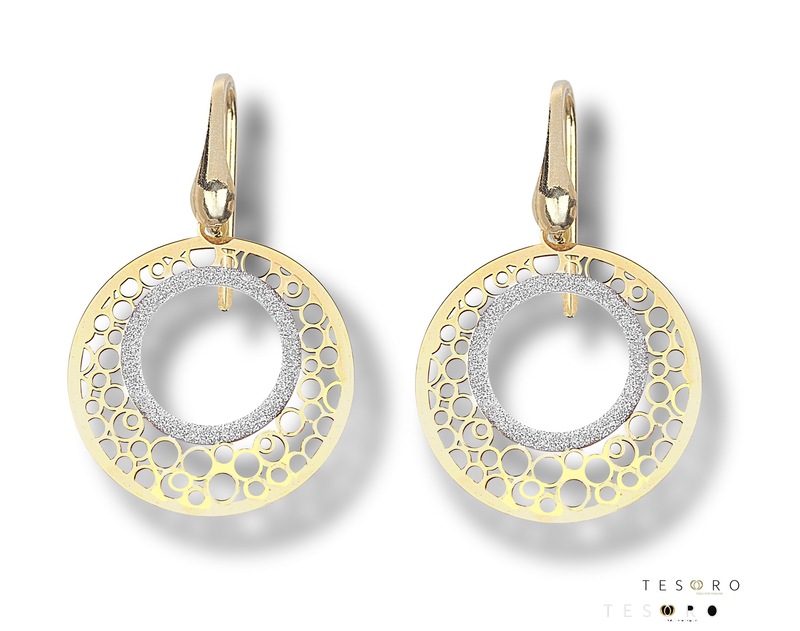 Precious Tesoro earrings are exquisite,and should be worn with pride,excitement and happiness in my heart. IM NOT SPECIAL BUT WOULD BE NICE TO WEAR SOME LOVELY JEWELLERY. I’m a jewellery gal. I wear earrings every day and a necklace every day. This range is stunning and beautiful. I’m impressed by the look of the quality and the mixture of gold vs silver. 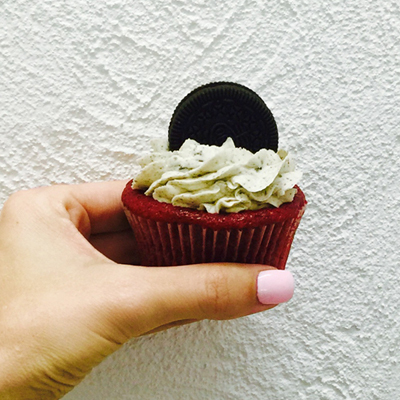 I was a gold wearer from way back, but as I’ve aged my taste then changed to silver! Recently, I’ve even taken to the mix of silver and gold to shake things up a bit, and to work with certain fashions I have. I would love to add Tesoro to my jewellery collection. I imagine from their Italian heritage that their quality is top notch and their look takes you from daywear to nightwear easily. I would be so excited to win these Tesoro earnings as an introductory into this amazing looking jewelry. I love special trinkets that make a woman feel glamorously special every time you wear them. I adore my jewellery very much even though he lets the kids pick it out and it consists of fish necklaces and seahorse earrings… and Santa earrings… I know it’s the thought that counts so my thoughts are of me in something a little more va va voom and a little less pre-school art room. These would give me a much needed boost in confidence on my new career hunt. As a 26 year old female with a little 3 year old at home, I certainly don’t get much of a chance to spend money on myself on beautiful pieces of jewelry to wear. So when I saw these babies I thought I just have to enter. I am a person who doesn’t wear a lot of jewelry and like fine small pieces. This is right up my alley. I would love to win these earrings to spoil myself for change. Would love to win a pair, they are sooo beautiful and would go with so much. I would love to win these earrings. I am not much of a jewelry person, but this pair has certainly caught my eye. I love them, they are so simply yet stunning. Would love to team them up with a great day out with the family. So versatile, can be dressed up or down.